PGA Deputy Chairman Craig Parry was yesterday inducted into the NSW Hall of Champions at the Sydney Olympic Park Sports Centre. Another accolade in a career spanning over 25 years, Parry was honoured alongside AFL Legend Tony Lockett, Paralympics champion Amy Winters, Australia II crew member Colin Beashel and boxer Kostya Tszyu. Since turning Professional in 1985, Parry has earned 23 career victories, including two PGA TOUR titles. 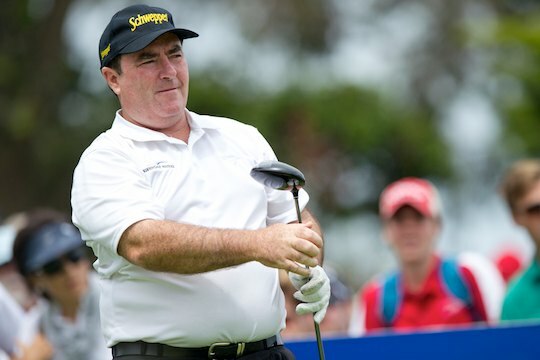 A former winner of the Australian Open, PGA and Masters Championships, Parry is currently second on the PGA Tour of Australasia’s all time career moneylist and continues to compete at the highest level. In accepting this latest honour, Parry joins the likes of previous inductees Dawn Fraser, Don Bradman, Ian Thorpe, Melinda Gainsford-Taylor, Paul Kelly and Steve Waugh. The NSW Hall of Champions was established in 1979 with new inductees added every year. The ‘Wall of Fame’ displays photographs of over 330 athletes covering 49 different sports, depicting the memorable moments and moving performances which have inspired Australians, and is open for public viewing.